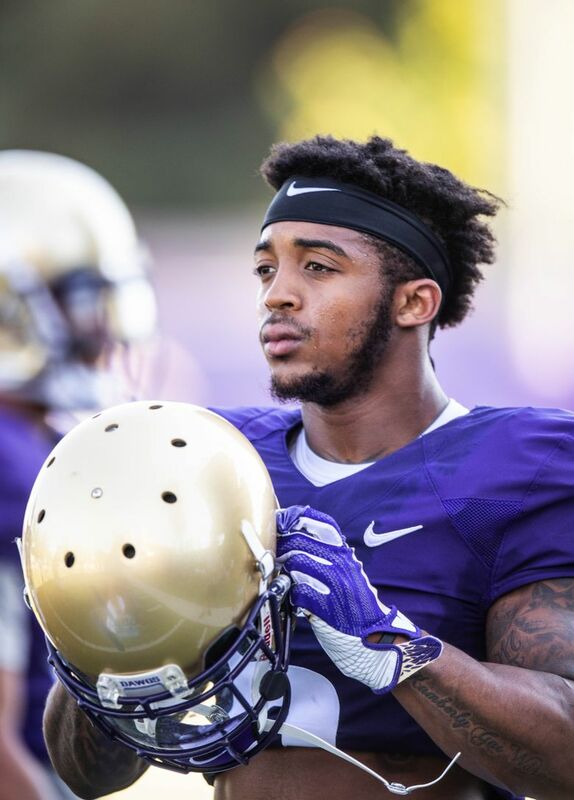 One of the most explosive players on the UW roster, McClatcher says he feels great after recovering from a broken ankle and a previously undisclosed knee injury from 2017. 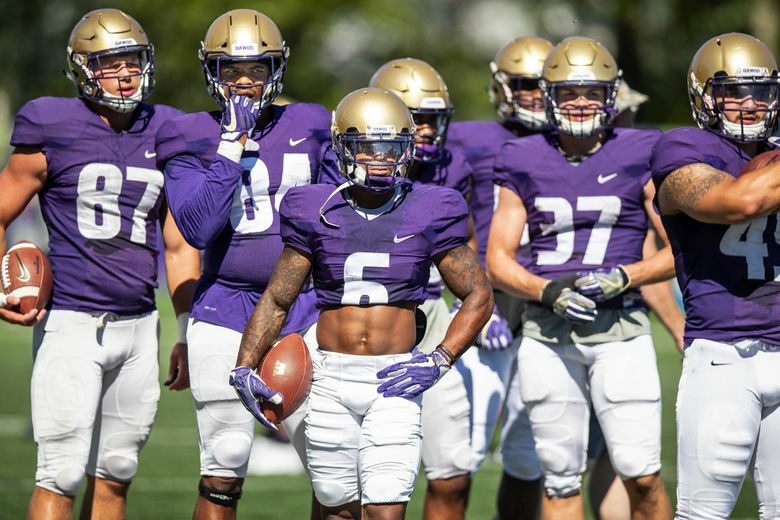 For the first time in nearly 10 months, Chico McClatcher on Tuesday afternoon suited up in full practice gear — shoulder pads, leg pads, helmet, purple No. 6 jersey. McClatcher’s return to the field has been a long time coming — and longer still since he’s been able to suit up fully healthy. When, he was asked, was the last time he could honestly say he was 100 percent? He thought for a moment. He settled, finally, on September 2016. 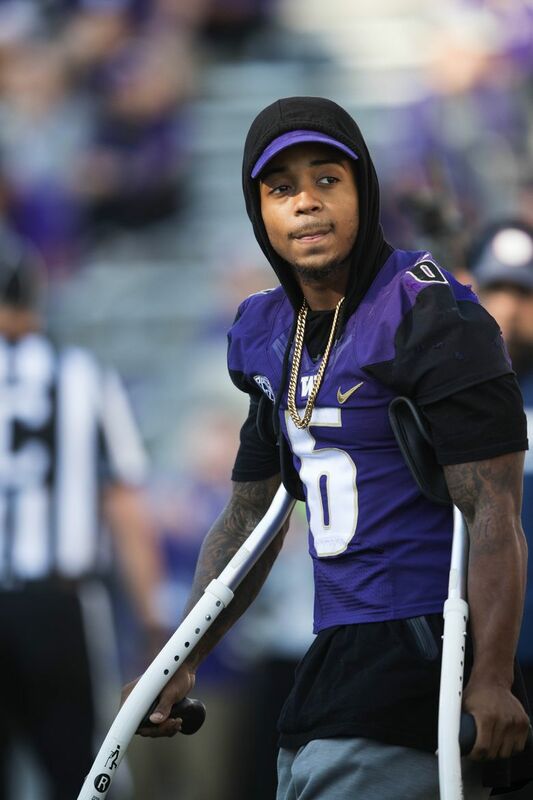 It was in the Huskies’ breakthrough victory over Stanford on Sept. 30, 2016, that McClatcher injured the MCL in his left knee, an injury that limited him the remainder of his sophomore season. Then in September 2017, he tore the ACL in that left knee — a previously undisclosed injury. He missed one game, against Fresno State, but played with the injury a week later at Colorado. And it was during that game in Boulder that McClatcher went down with a broken ankle in that same left leg. The broken ankle he could not play through, ending his 2017 season. Are you curious to see what the UW offense looks like with McClatcher in it again? More to the point: Are you curious to see what the UW offense looks like with a healthy McClatcher in it? Despite the MCL injury in 2016, McClatcher still led the Pac-12 in yards per reception (18.5) that season, posting 31 catches for 574 yards and six total touchdowns in helping the Huskies win the conference championship. Hamdan was the Huskies’ receivers coach in 2016, then left last year to be quarterbacks coach of the Atlanta Falcons. He’s back now, in his new role, and McClatcher is, too. McClatcher is one of the most well-liked players in the UW locker room, and the Huskies hope he is the difference-maker that was missing at times in UW’s offense in 2017. A 5-foot-8, 181-pound Federal Way High product, McClatcher has been eased back into the workload during the first five practices of fall camp, taking only limited snaps during team periods. The goal is to have him back at slot receiver, finally healthy again, for the Sept. 1 opener against No. 10 Auburn.